Online addictions can take on many forms. Whether you’re losing precious hours on video-streaming sites, social media platforms, or gambling online, there’s a fine line between addiction and responsible use. A decision to change will get you headed in the right direction. But the realities of our online behavior today – with ubiquitous internet browsing only clicks away from our devices – are challenging for even the most determined users. What can you do if you’re struggling with gambling online? In our experience we’ve found it helpful to use tools and resources to alter your environment. These tweaks will help you during those times when your willpower runs low. The first step to curbing an online gambling problem is to thoroughly understand the challenge. Heavy gamblers have a tendency to blame themselves when they can’t stop. They tell themselves that they just aren’t disciplined enough, that if only they could be like their non-gambler friends, that things would work out. 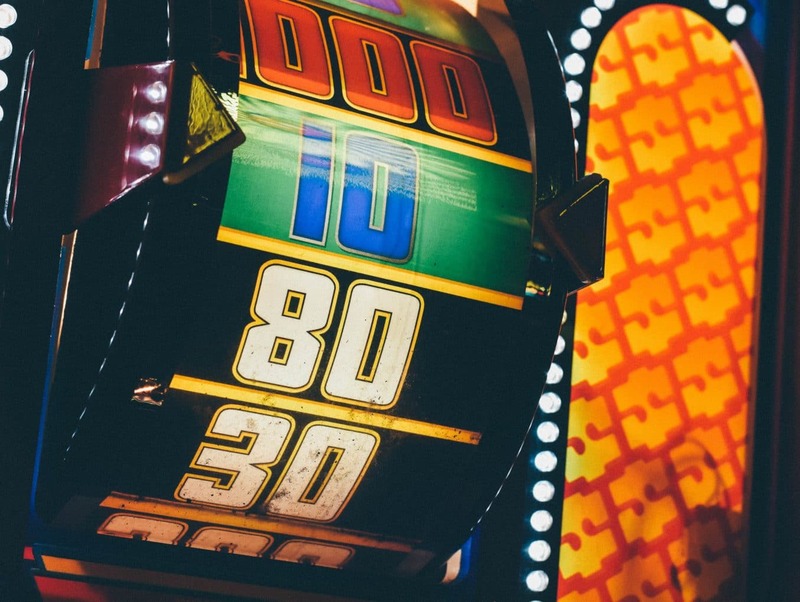 The real culprit: online gambling’s effect on brain chemistry. Every little win triggers a burst of dopamine, our natural reward chemical. Gambling addiction isn’t unique in this regard. You’ll experience similar dopamine spikes whenever you level up in that online game or get a “like” on your Facebook post. We also have to consider how much easier it is to gamble online. Instead of driving to a casino, our devices allow us to bring the casinos to us. You’re managing virtual chips or credits instead of watching a stack of chips shrink and expand in front of you. Online gambling also allows us to play multiple games at once. Professional Texas Hold ‘Em players often use multiple monitors and play dozens of hands at a time. Ease of access, the accelerated pace of the games, and dopamine rushes make it completely understandable why this can become a struggle. Neurological research has even connected non-drug behavioral addictions (including gambling) to changes in the brain – and all the associated cravings, impaired control, withdrawal – to those found in people who abuse drugs. Now that we understand the severity of the online gambling issue, let’s explore practical solutions. This isn’t a matter of willpower or lack of effort. Some dopamine reward circuits get ingrained so deeply that you might find yourself on gambling websites before you even realize what’s happening. The craving, behavior, and response happen unconsciously. One of the best ways to eliminate this? Place more barriers between yourself and the addictive behavior. The pattern right now is probably to sit down at your computer or whip out your phone and navigate to a gambling website a few seconds later. So let’s disrupt this cycle! The Freedom App can help you do just that. It’s an app that allows you to block dangerous websites for as long as you choose. Instead of using willpower to stop yourself every time you feel an urge to gamble, which is unsustainable and exhausting, make a decision once and schedule your blocks beforehand. Not only does this keep you from visiting dangerous websites. It also raises awareness of how often you’re trying to do so. Freedom works on Windows, Mac, and iOS devices. Apply your settings once, then get protection across multiple platforms and devices. A recurring block session is simply a way for you to schedule when you won’t be allowed to access certain websites. Think of it like adding an event to a calendar app; you set it up once, and it repeats as often as you choose. You get to customize how long block sessions run, whether it’s only during times when you’re most susceptible to gambling or even all the time. If you’re using Mac or Windows, start by launching the Freedom app and logging in. Choose Recurring session on the dashboard. In the example above, the recurring block is set to only on weekdays. If you’re serious about avoiding gambling websites, you could check every day. Once you have your timing set up, you’ll choose which websites to block and the devices you’ll block them on. Blocklists are simply groups of websites you’d like to avoid. You can make your own by adding specific websites, or choose from our pre-made filters. To make things even more user-friendly, we recently added category filters. Applying the gambling filter makes it easier to block a group of some of the most popular websites within the gambling category. When building your blocklist, all you have to do is click the plus button beside the category marked gambling. Setting up recurring block sessions is similar if you’re using Freedom on an iOS device. Choose select a session, and you’ll be taken to a menu where you name the recurring session and select when the session starts and ends. Now it’s time to choose which days you want your block session to repeat. Just check the arrows for every day you want. Finally, choose which blocklists you’ll include and the devices to block. Hit save and you’re done. Recurring block sessions run automatically once they are set up. The Freedom app gives users multiple ways to overrule them: quitting the Freedom app on your desktop computer, or deleting a blocked device from your Freedom dashboard (works with both desktops and iOS devices). We want to give our users as much flexibility and ownership of their web browsing experience as possible. For some people, simply running into the block during a recurring session is enough to get them to change their minds and get back to work. But what about those truly overwhelming cravings? Locked Mode makes it impossible for you to quit block sessions, delete blocklists, or access blocked devices while in a session. Whenever you’re feeling an urge strong enough to overrule the block, just activate locked mode to force yourself to stick to the program. Once Locked mode is enabled, you can’t disable it while a block session is active. We aren’t healthcare professionals. With that said, here at Freedom we believe that using our software to change your environment is a great first step to avoid the destructive impact of online gambling addictions. The National Council on Problem Gambling Resources page. The NCPG’s mission is to serve as an advocate for programs and services to assist problem gamblers, as well as their loved ones. Their massive resources page compiles awareness tools and materials, links to other gambling-related websites and organizations, and even a 24-hour confidential hotline. Although the NCPG is based in the U.S., the resources page includes links to problem gambling resources worldwide. GamCare’s support and treatment page. This UK-based charitable organization offers free gambling self-assessment tools, financial management help, and free helplines. Lifeline’s Problem Gambling page. This national charity offers all Australians free resources ranging from fact sheets and symptom guides, to support chats and 24/7 phone hotlines. The Nevada Council on Problem Gambling. This nonprofit focuses on raising awareness and education about gambling addiction while advocating for quality treatment. The website is full of resources to understand the nature of problem gambling and get help – even if you live outside of Nevada. Figuring out how to stop gambling online can seem overwhelming. But it doesn’t have to be. Yes, overcoming this challenge takes time and determination. Understanding the psychological triggers behind the issue while empowering yourself with cutting-edge tools that change your behavior will increase your chances of success. The Freedom app can help. By using features like recurring block sessions and Locked mode, you can bring awareness to unconscious addictive behaviors – and put one more obstacle between yourself and dangerous gambling websites.